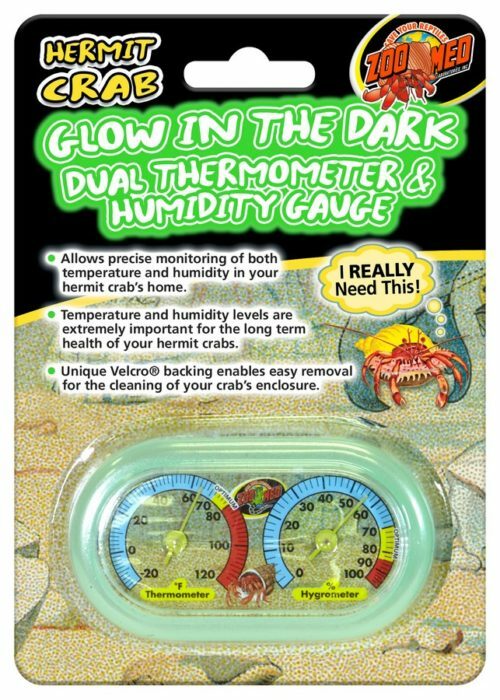 Hermit Crab Dual Thermometer & Humidity Gauge | Zoo Med Laboratories, Inc. 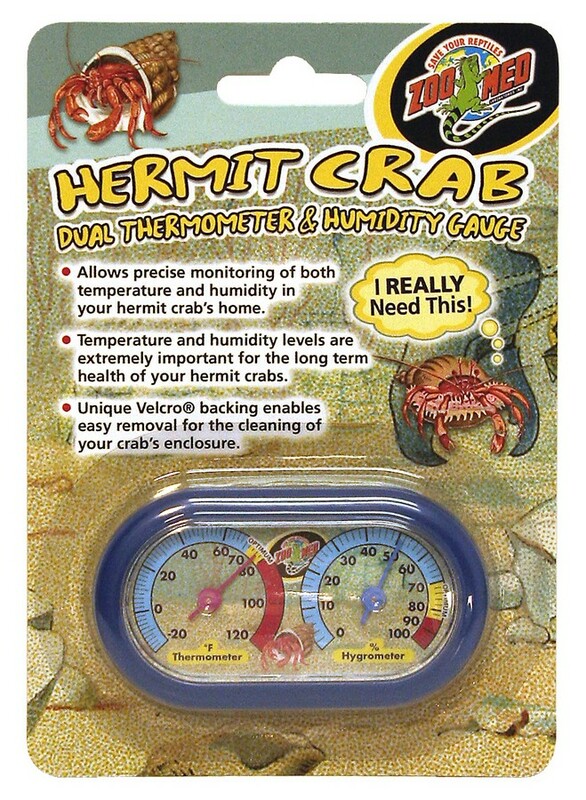 Allows precise monitoring of both temperature and humidity in your Hermit Crab’s home. 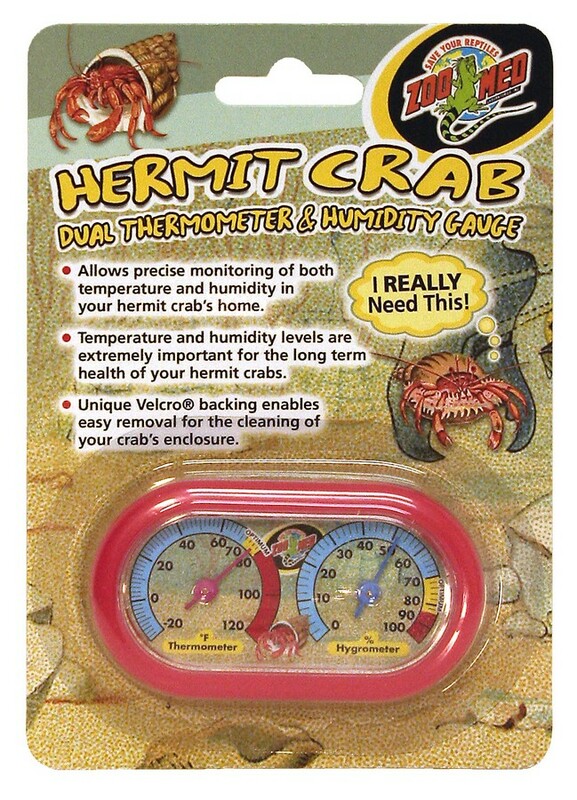 Temperature and humidity levels are vital for the long-term health of your Hermit Crabs. Maintaining proper temperature and humidity levels will allow your Hermit Crabs to properly digest and metabolize food and facilitate shedding (molting). This will help decrease stress levels and prevent against possible illness and disease. Unique hook and loop backing enables easy removal for the cleaning of your crab’s enclosure.